After a scrambled eggs with bread breakfast, we started pretty late. 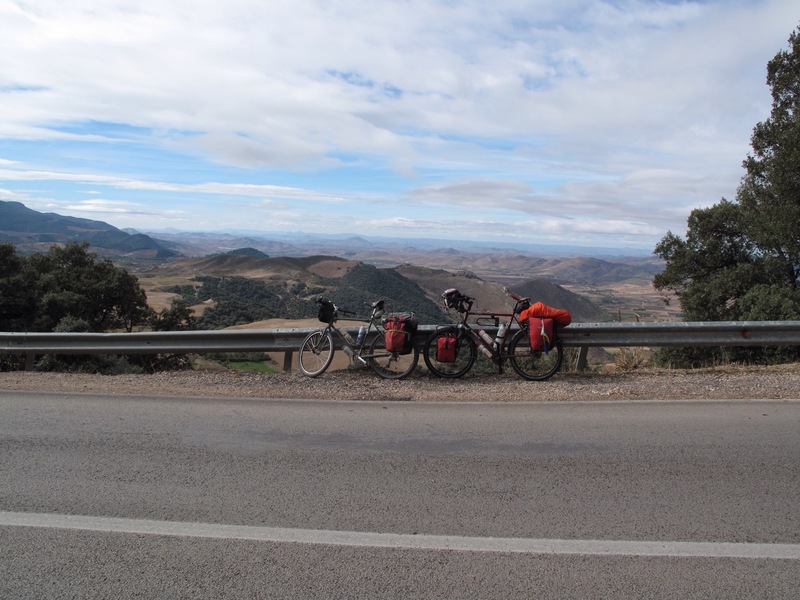 We started with head wind and uphill, so we were glad we didn’t try to go the extra 15 km the day before to Azrou. After some uphill, we got down hill at least, with some good views! After a long pause with some pan au chocolate and tea/coffee, we started the pretty hard climbing up again. The landscape kept changing, and I got to admit it really looked like Swedish autumn! 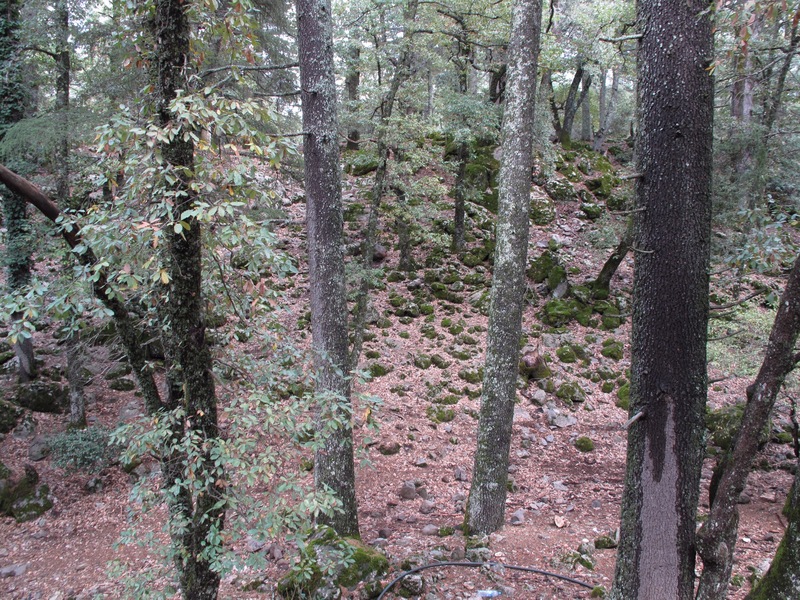 We continued the climb, and after a while we saw some cars parked. 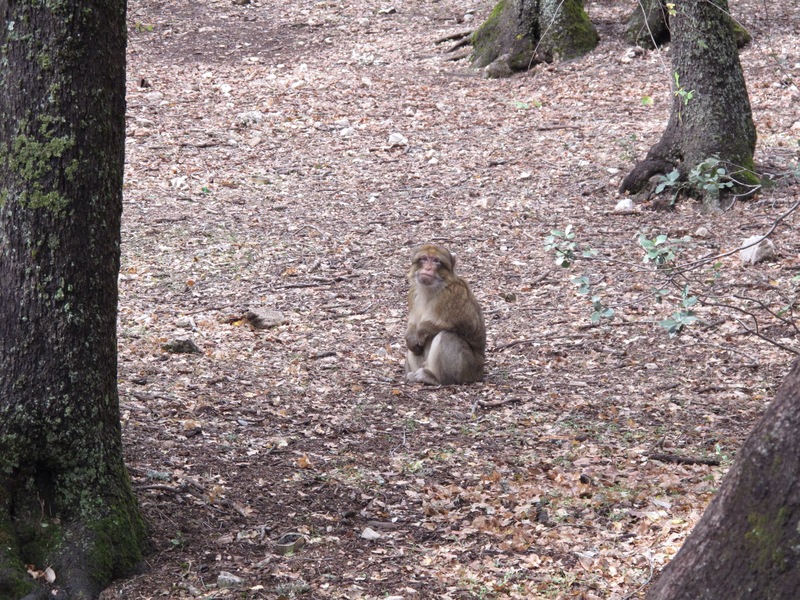 They had seen some monkeys (which is pretty common in this forest), it was a cool sight! We continued the climbing which not really looked like it would end. It went colder, and we took a brake with some nice men at a fire, close to what would seem like the highest point for today. We came to Timahdite, and started with getting a dinner. This was a really non-touristic place (good change from Ifrane), and the dinner was really cheap with different foods and drinks! We went to a hotel people told is about, 2 kilometres outside of the village. He wanted 350 dirham for one night, so we figured it must be a really fancy place – nothing for us! We went on, as we wanted to take a look if there were a cheaper place. We asked at the petrol station, and there weren’t any. 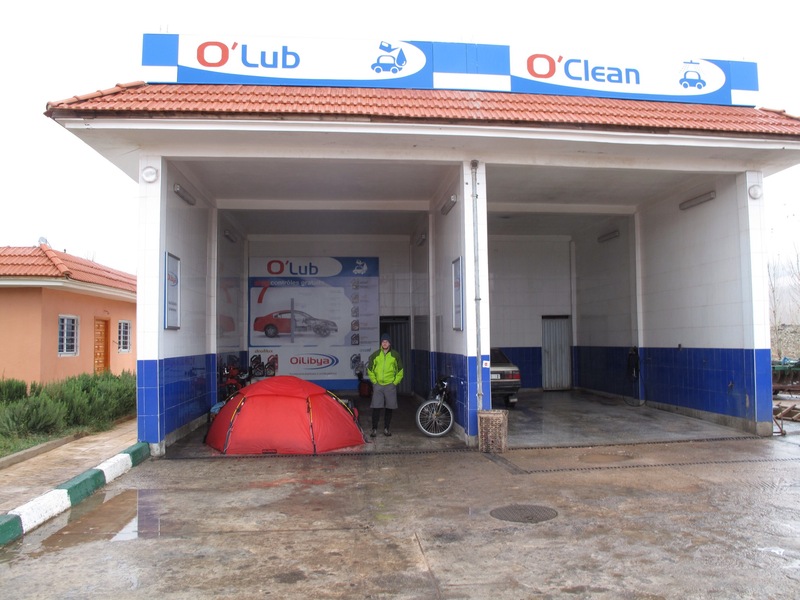 We got the idea to camp there, so that we could use a toilet, and we even got to use the oil change place as shelter! We went to bed at seven, and after an hour of talking, went to sleep. Early night!